No one knows what the future is going to throw at us, but one thing is for sure: we need to stay prepared. 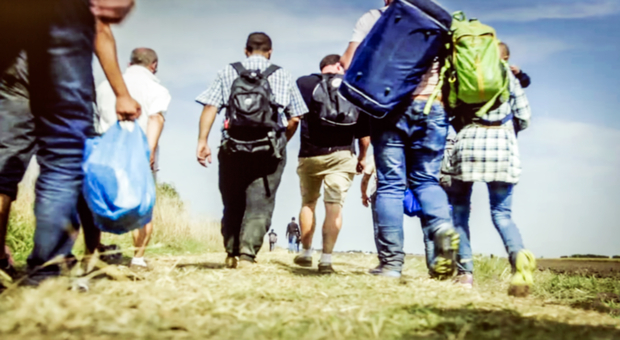 Next to shelter, water, food and hygiene, medical supplies are the most important in a survival situation, when we lose all the luxuries of modern medical facilities. 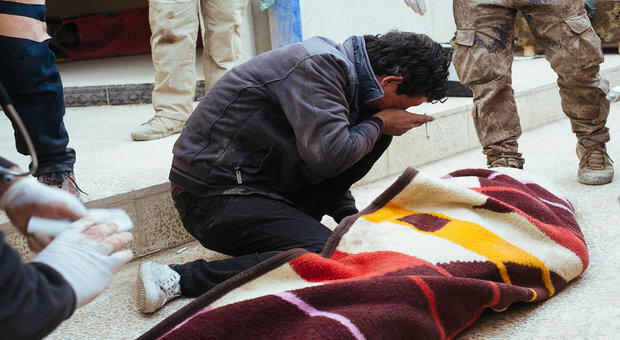 Without the proper medical supplies, wounds and diseases that are normally not considered life threatening, can become the real threat. I’ve gathered five articles on this topic for this week’s Prep Blog Review. If you have any questions or tips, address them in the comment section below. 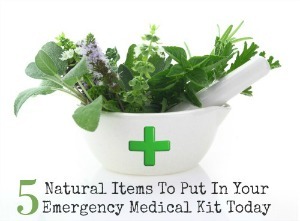 “Next to food, water, and shelter, nothing is more important in a survival situation than medical supplies. Without the right supplies, diseases and injuries that would normally be completely treatable could be a death sentence. 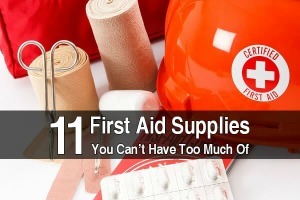 Unfortunately, many first aid supplies such as medication and bandages are not reusable, meaning you will want to have ample stocks of these crucial items. 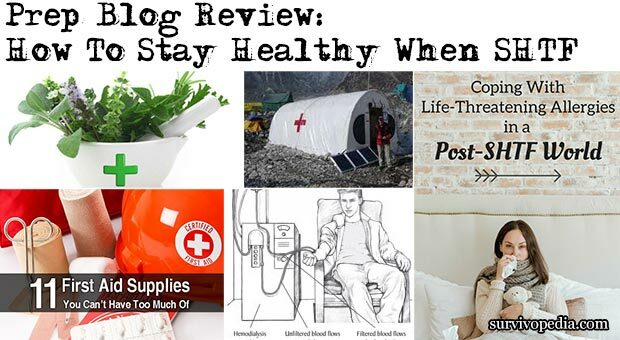 “When the SHTF and a medical situation does occur simultaneously, things can go to absolute turmoil very quickly. 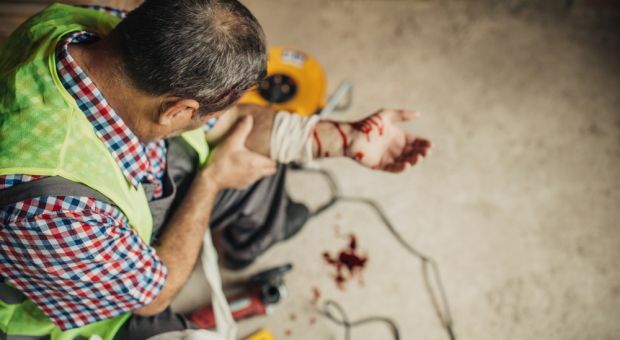 Most medical situations that will arise during this time may not be considered life threatening, but can quickly become one if not appropriately treated. For instance, a simple cut that makes contact with tainted water (a very typical scenario following floods and hurricanes) can quickly become infected. “We have lived in our home for nearly a decade and I love it. I truly love my yard, but the feeling is not mutual. My yard is trying to kill me. After a lifetime of thinking of myself as allergy free, I have been proven wrong. As it turns out, oak trees, along with other things, cause me to have an extreme allergic reaction. Care to guess where I live? Yes, in the middle of 150 acres of forest. 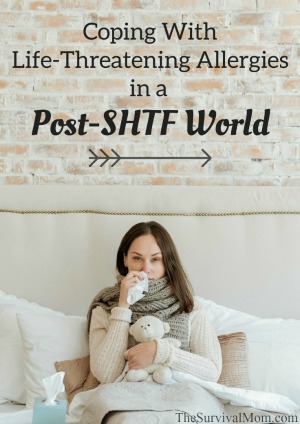 I had no idea that this could be a life-ending allergy for me. Huge portions of this country have primarily hickory and oak forests. I would need to drive at least twelve hours to be somewhere that doesn’t have oak trees. If you or someone in your family struggles with seasonal allergies, first, go to an allergist to find out what they are. 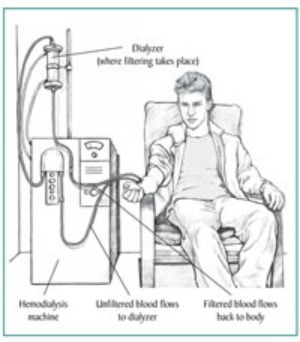 “If you are on dialysis, emergency situations are especially worrisome. Although dialysis technology has progressed dramatically from when my grandfather was on it and afraid to lose his spot, we are still not at that point where portable/travel dialysis units are common. That time is coming but it is not quite here yet. Therefore it is critical for those on dialysis and their families to develop an emergency plan to ensure proper medical treatment of the condition. 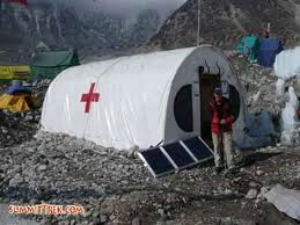 “In normal times, we have the luxury of modern medical facilities that can isolate a sick patient from healthy people. 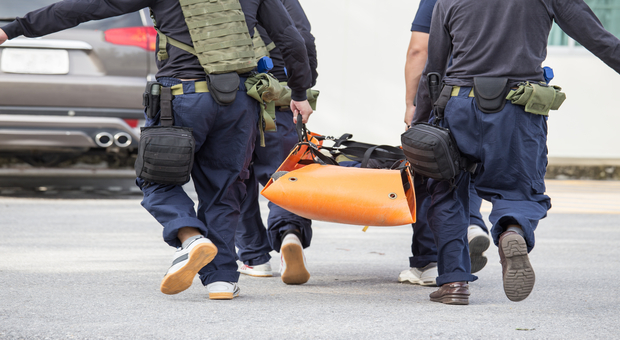 In a survival scenario, however, most organized medical care will no longer exist, placing the average citizen into the position of medic for his/her family or community. Although we may be thrown back to the 19th century medically by a disaster, we have the benefit of knowing about infections and hygiene.